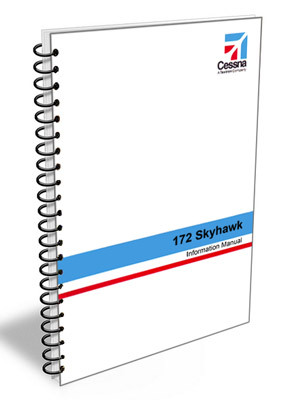 Cessna Aircraft Information Manuals include the same data and limitations contained in the original aircraft Pilot's Operating Handbook, however they are not specific to your serial numbered aircraft. These aircraft manuals are NOT FAA-approved replacements for your aircraft's POH. FAA-approved replacement POH's are specific to your aircraft serial number and can only be obtained directly from the manufacturer. Most manuals are in stock however some of the less popular ones may have to be special ordered. We will notify you via email if there will be any delay. If you cannot find your Cessna aircraft in the list, please call us 714-330-2779.